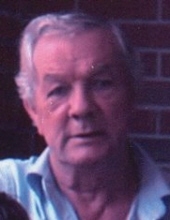 Julian Irick age 82 of Pikeville, Kentucky passed away Saturday, November 24, 2018 at his home. He was a manufacturer of truck parts and a believer of the Regular Baptist Faith. Julian was born in Pikeville, Kentucky on July 27, 1936 the son of the late Sam and Mary Jane King Irick. Along with his parents, he was preceded in death by his wife, Lexie Mae Compton Irick and one son, Mark Irick Sr.. He was also preceded in death by a granddaughter, Brandy Irick and three brothers, Joe Irick, Jonah Irick and Wayne Irick and five sisters, Norma Lowe, Vern Lowe, Hazel McCaslin, Virlie Hamilton and Sylvia Carroll. He is survived by three sons, Julian Irick Jr., Brian Irick and Christopher Irick (Paula - dec.) of Pikeville, Ky. He is also survived by four grandchildren, Kaneallia Parsons (Mike), Mark Irick Jr., Chrissy Irick and Nancy Irick and two great-grandchildren, Emma Anne Parsons and Michael Sumner Parsons III. To send flowers or a remembrance gift to the family of Julian Irick, please visit our Tribute Store. With Paul Vernon Damron and Others officiating. Serving as Pallbearers will be Sam Irick, Sam Irick Jr., Michael Irick, John Irick, Keith Music and Brandon New. "Email Address" would like to share the life celebration of Julian Irick. Click on the "link" to go to share a favorite memory or leave a condolence message for the family.